Our Sewing Machine Basics workshop covers threading and using the sewing machine; How to fill and load the bobbin; What stitch length and stitch width are why they matter; Sewing machine tension and why it’s important; How to sew your very first sewing project. Up to 6 students per session. This class is designed for students who have previously used a sewing machine. If you need to learn how to use a machine see our “Intro to Sewing” class. In this two hour class students will choose from a variety of fabrics to work from. They will cut their own patterns, and then sew their very own custom elastic waistband shorts or pants! In this two hour class students will choose from a variety of fabrics to work from. They will cut their own patterns, and then sew their very own custom T-shirt! 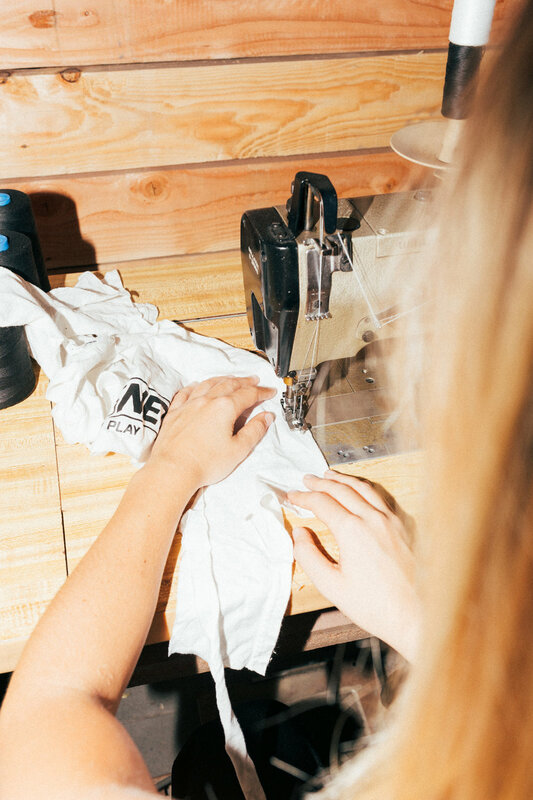 We partner with non profits anywhere in the world to help equip people with tailoring skills. This allows students the ability to gain financial independence. We also create a design and pattern for them to follow, in hopes that they can sell. We are currently raising funds for our trip to Cambodia, learn more here. Please email us if interested in having us come and serve.